VietNamNet Bridge – Cam Thanh administrators, scientists, local residents and businesses have signed an agreement to manage and protect the commune’s nipa palm forest - the first-ever joint environment protection deal between an administration and its community in the central region. The deal, which was signed last week in Hoi An, aims to boost strict management in environment protection and sustainable measures in tourism service in the city’s Cam Thanh Commune. The 140ha nipa palm forest in the lower of the Thu Bon River plays an important role in the world biosphere Cham Island-Hoi An, as it shelters fish and aquatic species breeding before moving back to the world biosphere Cham Island-Hoi An site, team leader Chu Manh Trinh said at the meeting. A report from the Cham Islands Marine Protected Area unveiled that poor planning development had claimed 40ha of nipa palm area between 1975-90, while rapid urban expansion encroached into 20 per cent more of the forest. 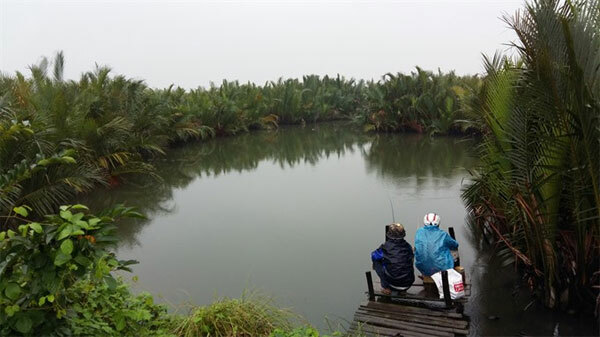 “Nipa palm forest is the most powerful plant in the wetland of Cam Thanh and ecological system ranging from Hoi An to Cua Dai estuary and Cham Island,” said Le Ngoc Thao, a researcher from the Cham Islands Marine Protected Area. Le Thanh, chairman of Cam Thanh Commune, said local administration would allocate tourism service in nipa palm forest and special protection area. Le Duong, a local resident, said the community needed to be aware of the role of nipa palm plays in the growth of wetland plant. Nguyen Tuan Lien, a tour operator, said many restaurants illegally built concrete foundations in the area. “It’s an eco-tour site, and local residents and tourists must follow restrict regulations on noise and environment protection,” Lien said. 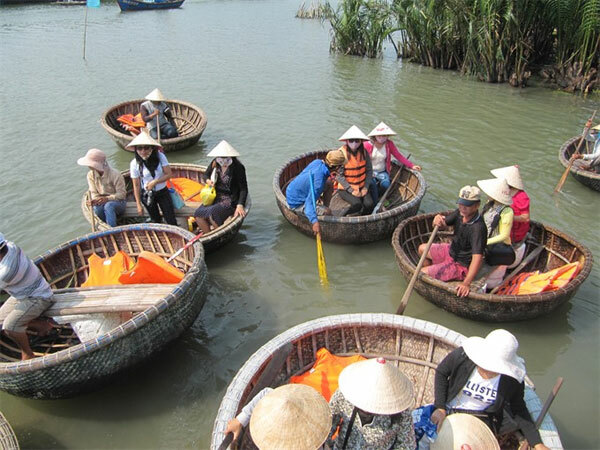 Over Cam Thanh 2,000 residents still benefit from the wetland forest by earning much for their living from eco-tour service and crafts. 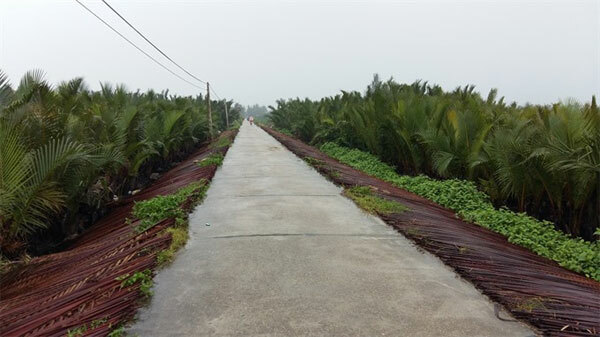 Hoi An City has been seeking funds to replant 140ha of Nipa palm along the Thu Bon River. The forest is just 5km away from Hoi An ancient town, and visitors only pedal in 10 minutes to breathe air in the forest and enjoy hospitality from villagers.